Roberto Coin’s Byzantine Barocco collection introduces this geometrical pendant necklace to add a modern touch to any ensemble. 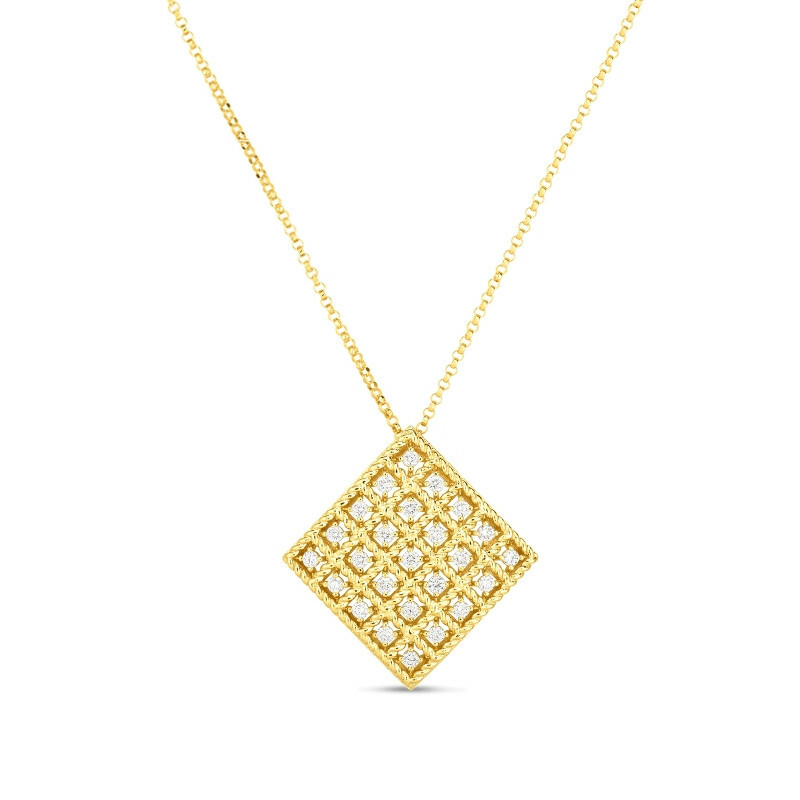 The vivid 18kt yellow gold chain leads us to a sleek, square-shaped pendant that is carefully decorated with handset diamonds and framed with a twisted gold border. Discover the timeless craftsmanship of Roberto Coin jewelry that is driven by the innate love for the world of art and fashion.